Microsoft Windows 8 is known for its unique, impressive and Modern UI Visual Style which makes it different from its previous Windows version i.e. 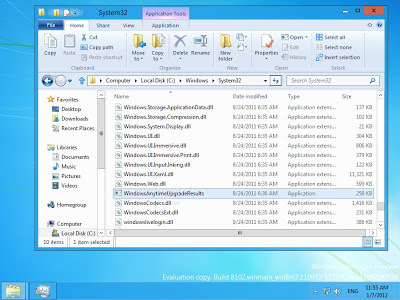 Windows XP, Vista and 7 so its obvious people are getting more attract towards Windows 8 to experience Windows 8 Themes and Visual Style UI element but do you know that you can actually Enable and Activate Hidden Themes of Windows 8 called "Aero Lite" to Boost-up Visual Performance of Windows 8. When Microsoft launched the beta versions of Windows 8 there was a theme pre-installed called "Aero Lite" Theme which replaces "Windows Basic" theme present in Windows Vista and Windows 7 operating system. The concept behind Windows 8 Aero Lite theme was to remove Aero glass and other eye candy effects such as reflection, blur, etc. to provide fast and improve system performance to low-end computers users which don't have compatible hardware to support the main Aero Glass transparency effects theme of Windows 8. If you were the regular user of Windows 8 Beta and Testing versions than you must know How Windows 8 Aero Lite theme can Boost-up System Performance with its simplicity and non-aero effects. 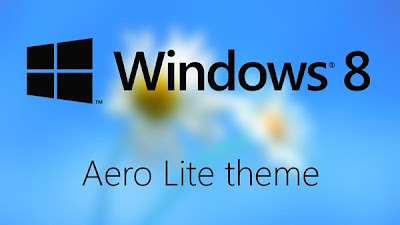 If any PC or Laptop doesn't have a compatible hardware installed, Aero Lite theme is applied by default in Windows 8. Aero Lite theme was available in Desktop Properties in testing beta builds of Windows 8 but strangely Microsoft had removed Aero Lite theme from Windows 8 RTM (Final Build) but you don’t have to worry because there is a way to Get Back Aero Lite Theme in Windows 8 which will helps you to boost-up system and visual performance. 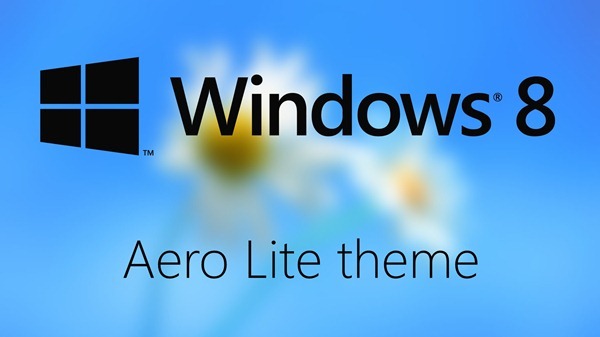 We are going to share How Windows 8 users can Enable and Activate Hidden Themes of Windows 8 "Aero Lite" to Boost System and Visual Performance?. How to Enable and Activate Hidden Themes of Windows 8 "Aero Lite" to Boost System and Visual Performance? Follow the following guidelines and instructions to successfully Enable, Activate and Apply Hidden Theme of Aero Lite in Windows 8 to Boost Visual UI Performance. Step 1: Navigate to C:\Windows\Resources\Themes. Step 2: Copy the aero.theme file to your Desktop. Step 4: Inside the .theme file, you will find – in the 5th line – a property called DisplayName. Change the text after = to “Aero Lite”. Step 5: Similarly, you will find a Path property near the end of the file under VisualStyles. Change the Aero.msstyles at the end of it to Aerolite.msstyles so that it can point to the files already available within Windows 8. Step 6: Save the file and put it back under C:\Windows\Resources\Themes, replacing the original aero.theme file. You will need administrator-level access to perform this step. Step 7: Now, from the Desktop, you can right click > Personalize and see the file under Installed Themes. Just click on it to activate and apply it. Congratulations!! You're done.